Say hello to the coolest and adventurous ride from Hoverzon! 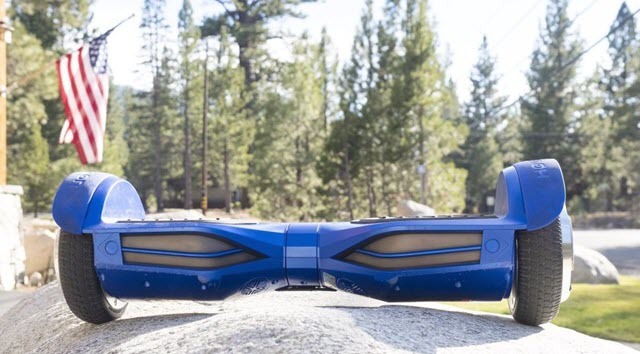 After having taken the hearts of people with the S series hoverboards, the Hoverzon is all set to bring a new thrill with its innovative technology, better features, and ABS shell casing with the new model – The Hoverzon XLS. Hoverzon XLS is the new introduction to the number of hoverboards or the self-balancing scooters by Hoverzon. This latest introduction has created waves amongst enthusiasts with its new cool features and looks which are comparably smarter and chic than the Type S series by Hoverzon. Hoverzon XlS makes way for a newer thrill with the latest technology and smarter look and easily beats the S series with its amazing new features. Re-imagined and smartly built with the new Aegis armor technology, Hoverzon XLS is loaded with features of the simple self-balancing scooter. With safety in operation and stylish in looks, this is easily the smartest piece of scooter today. Hoverboards or the self-balancing scooters are becoming increasingly popular, and with the latest of looks and technology, Hoverzon is making it all the more exciting. With the earlier S series, Hoverzon has set quite a benchmark, excelling in the designs, technological upgrades, and revolutionary features. But with the new Hoverzon XLS, the experience has leveled up multiple times and is going to change the perception the way people take self-balancing scooters for travel. What are the functions of Hoverzon XLS? 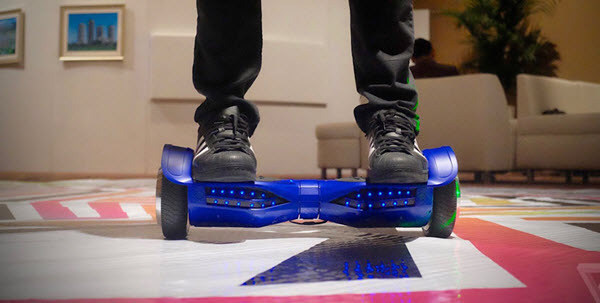 The new hoverboard by Hoverzon is inclusive of all the features that had been prevalent with the S Series. Setting the benchmark, Hoverzon XLS brings new innovative technology with the smartest of looks. 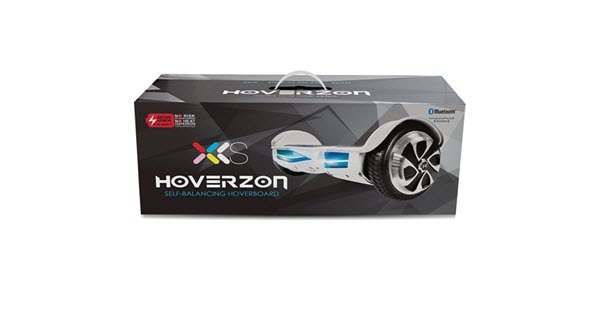 Hoverzon XLS is made from the finest quality materials and functions well with the power connectivity through batteries. Much like the Hoverzon S, the Hoverzon XLS is made up of the hard rubber tire and aluminum wheels which make for the safety use of the hoverboard while being energy efficient. Hoverzon XLS has brought a new standard of hoverboards to the industry for some of the distinctive features which are on a roll with this fun ride. Keeping the safety features as per the rules, Hoverzon XLS is a perfect mate for even beginners and self-balancing scooter enthusiasts. Hoverboards have been a good aid in contributing to the environment, saving it from pollution hazards at least for short distances. Hoverzon XLS is tested off the safety standards and the emissions and stands clear of any emission norms. It is completely environment-friendly and brings no emissions. Thus, it accompanies you as a small travel companion that makes a swift commute inside the colonies, campus, house or even office! Travel in your neighborhood or go for an evening ride, this surely beats the vehicles and beats them in being a non-pollutant vehicle. Hoverzon XLS promises to keep up with the speed of at least eight mph. The speed of a hoverboard is highly dependent on the weight of the person and the weight that it can take. Hoverzon XLS can take from about 40 lbs to a maximum of 220lbs of weight and can move from 2 mph to 8 mph on speed. The speed is also greatly enhanced with the battery charge, driving surface, and the powerful system that it is. And thus when you are about to ride, always check the battery and the surface to estimate the speed that can be obtained from the hoverboard. Riding with music always has been enthralling and why should you compromise on a self-balancing scooter with music? Like the Type S series from Hoverzon, this one too is equipped with the synchronizing option to add your favorite tracks to the ride when you want. 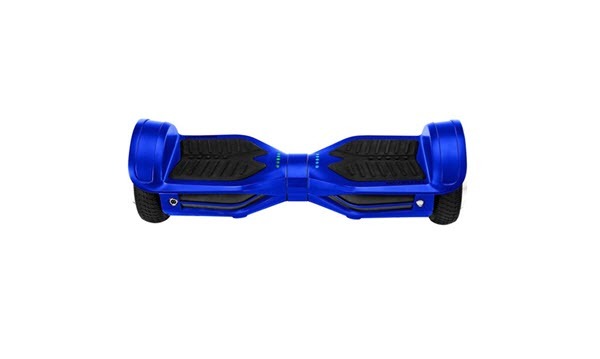 Just use the Bluetooth option of the Hoverzon XLS to connect the hoverboard to the sound system and cruise on the wheels with your favorite tracks playing while you move. Along with the music and speed, the Hoverzon XLS has the LED light which gets lit up when you are riding it. These sensory LED lights surround the smart wheels. So, no matter when and where you ride the hoverboard, the glistening light on the front and the rear will keep glowing with music to make your experience lighted up. What are the features of Hoverzon XLS? Hoverzon XLS has a sleek yet powerful build which comes with safety to the user. Although the self-balancing scooter is mostly subject to danger because of the misbalance that may come to the person, the sensor pedals and ultra-responsive control save you from falling. With superior quality material and Hoverzon’s aegis armor multilayer battery protection, the safety of this self-balancing scooter is managed easily. The UL 2272 certification and polycarbonate make the scooter fire resistant and also ensures that any smoke that shall ever rise will be well contained inside the shell of the scooter without causing any harm to the user. Scooter weighs only about 28 pounds but is quite hefty! Hoverzon makes use of the smart battery system to operate the self-balancing scooter. Having made the battery for Hoverzon XLS slightly better with 32V rechargeable lithium ion, the battery is completely safe for the hoverboard and does not produce any heat or damage due to overcharging. The technology is equipped with displaying the battery charge with the help of 5 level indicators to identify the status of charging. There is a safe cruise to monitor the overcharging or any short circuit that may occur, but all of it remains inside the shield of the cover and is completely distant from the surface without harming any user. Thus, one shall always be ensured that Hoverzon XLS is going to last longer with every charging and give the indication whenever the battery is short of a level. 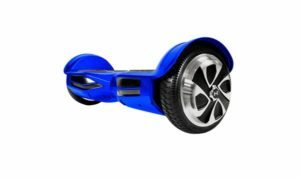 The implication of the battery level helps in knowing the decreased speed or estimated work time of the hoverboard and makes it easier for users to plan their outings. Any problem in the battery is hidden between the layers of the hoverboard and is completely safe for the user. The power engine with autonomous functioning and gear changing facilities make riding on this scooter easier and exciting. The tough cover of the body gives strong support, and the stable gearing system makes it easy to control your speed while you are riding. The 240 V power engine lets you ride with a superior experience, keeping track of your speed and motion with ease. So when you are riding the Hoverzon XLS on a bumpy road, the speed can easily be controlled and you can move swiftly through it. The hoverboard is also equipped with Bluetooth speakers and LED lights which add to the excitement of riding this self-balancing scooter. Listening to the music and glistening with the light, the ride becomes joyous and all the more exciting. Hoverzon XLS has been tested of all the safety needs of a user and is certified with UL 2272. The certification ensures that the hoverboard’s engine is safe and has cleared all standard required to be passed by electronic equipment. The electronic equipment included in Hoverboard XLS are of premium quality and long-lasting, guaranteeing that they shall serve better without any trouble or electronic hazard in the functioning of the hoverboard. Hoverzon XLS also comes with the wheels which have special rubber bumpers and five levels of battery indicators which help you stop when you think you should and always have an eye on the battery backup wherever possible. This helps in knowing how far you can go and when it is urgently needed to stop and recharge the hoverboard. The BMS is equipped to make the battery sufficiently safe without worrying about overcharging or functioning. What are the special features of Hoverzon XLS? It’s hard not to be impressed by the Hoverzon XLS, which follows a long line of high-performance hoverboards from this renowned global brand. In the case of the Hoverzon XLS, the most advanced scooter from the manufacturer to date brings a whole bunch of new features and functionalities to the table. What are the pros and cons of Hoverzon XLS? All the machines big or small come with their pros and cons. 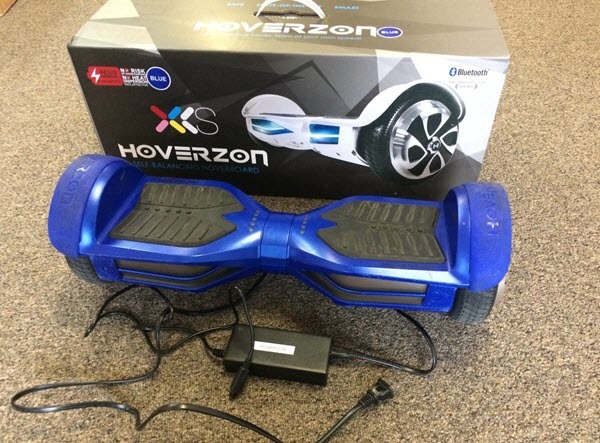 Hoverzon XLS has come out to be one of the leading manufacturers of superior style hoverboard. Having brought one of the revolutionary designs with the type S series, Hoverzon had already set a benchmark in the hoverboard experience, and with Hoverzon XLS, it takes the superiority even further. All the models of Hoverzon have been certified with UL 2272 certification and have a great battery backup. They are equipped with the safety standards and are of utmost safety to use, thus enabling the self-balancing scooter called the HOVERXON XLS to be perfect for beginners and learners alike. HOVERZON XLS is a stylish and comfortable hoverboard with all the latest technology upgrades redesigned into it. The exclusive HOVERZON aegis armor technology with multilayer battery protection ensures that the hoverboard is always safe from any battery hazards. The fireproof casing and the sensor pedals equipped with LED sensor tracking ensures that your ride is fluent and reflecting on the hoverboard. The balancing gets better with the sensory technology and helps both the beginners and the learners. The ultra-responsive control system, anti-slip sensor pedals, and rubber cover on the tyre promise to keep you safe and free from falling into any surface. HOVERZON XLS is equipped with Smart Battery Management system to make overall performance and experience safer and reliable. The five levels of battery indicator and the LED sensor lights always keep you informed of the direction you are moving in, the balance of the scooter as well as the battery backup so that you know when and where exactly to stop. HOVERZON XLS is also loaded with Bluetooth speakers and LED lights on the rear and the front which glow with the music when riding, ensuring that you are enjoying your ride while being always aware of the quality of the ride. The new HOVERZON XLS is made of safe and secure technology, ultra-stylish look, and bold features to give the rider a completely fun experience of Hoverboards and move forward with the smartest gadget! 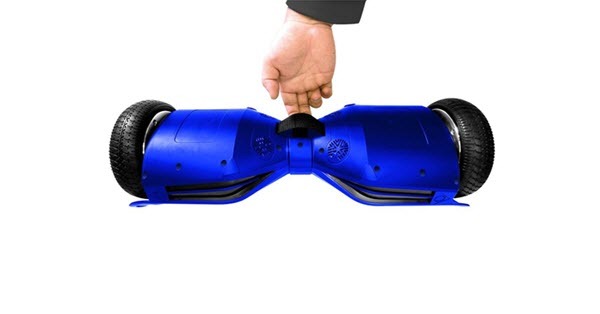 We give this reliable hoverboard 4.5 out of 5.